April is Autism Awareness Month! 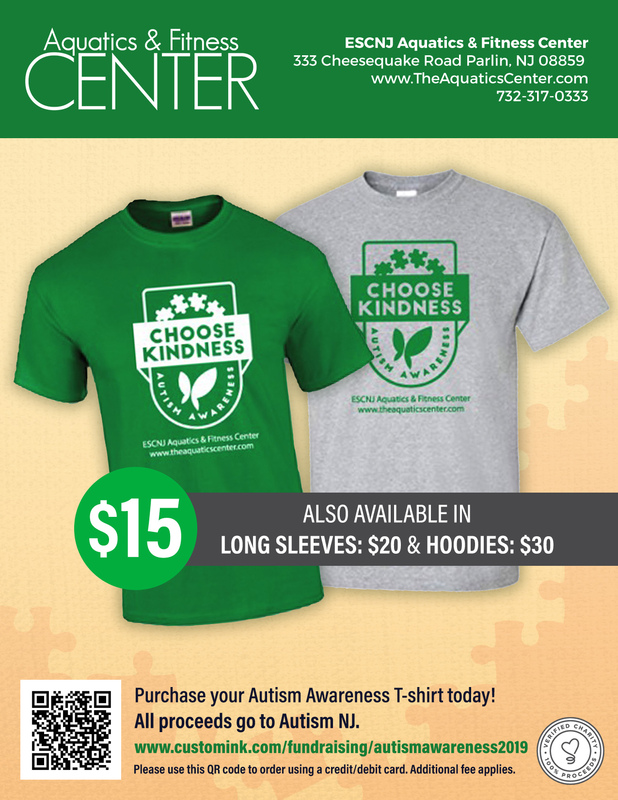 Help spread Autism Awareness and raise funds for the Autism community. 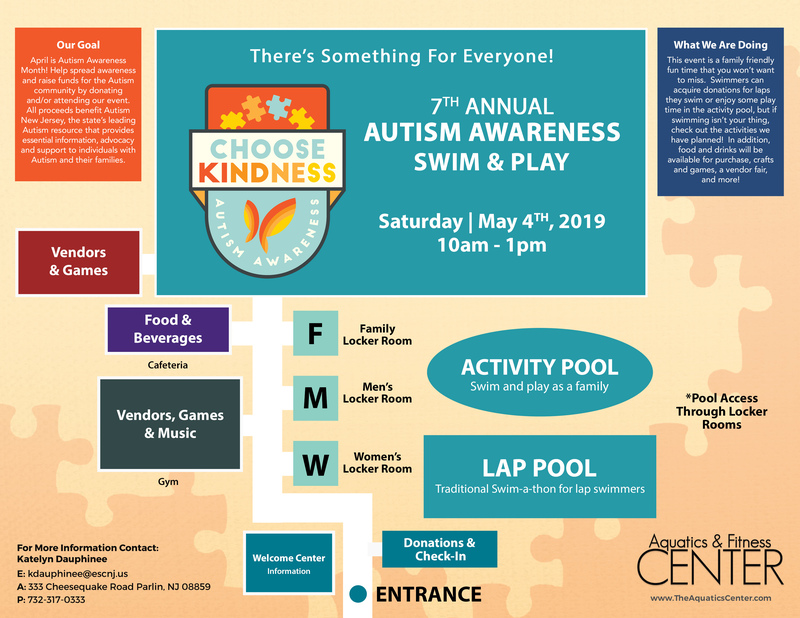 Come show your support for this important cause by participating in, sponsoring or attending our event at the Aquatics & Fitness Center on Saturday, May 4th. 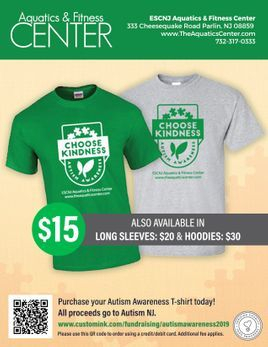 All proceeds benefit Autism New Jersey, the state’s leading Autism resource that provides essential information, advocacy and support to children and their families. This event is a family-friendly fun time that you won’t want to miss. If swimming laps isn’t your thing, come out and enjoy some play time in the activity pool, or check out the other activities we have planned! In addition to food and drink available for purchase, check out our craft and game area, vendor fair, and more! You can also donate to the campaign or purchase our custom apparel! It’s easy! Swim & Play participants collect pledges from sponsors based on the laps they complete. You can also simply collect “lump sum” donations for the cause from friends, family and neighbors. Additionally, we will have food and drink available for purchase, a vendor fair, and crafts and games available for the kids - truly making this a family friendly event! Swimmers are responsible for finding your own sponsor(s). If you are unable to find any, we can help. If you are interested in making a donation or sponsoring swimmers, contact Kate Dauphinee at kdauphinee@escnj.us. During the benefit we will also offer open swim in our activity pool, crafts and games, a vendor fair, and other exciting activities! Keep up to date with news on this event by liking us on Facebook. We look forward to making this event a success and seeing you all on May 4th!